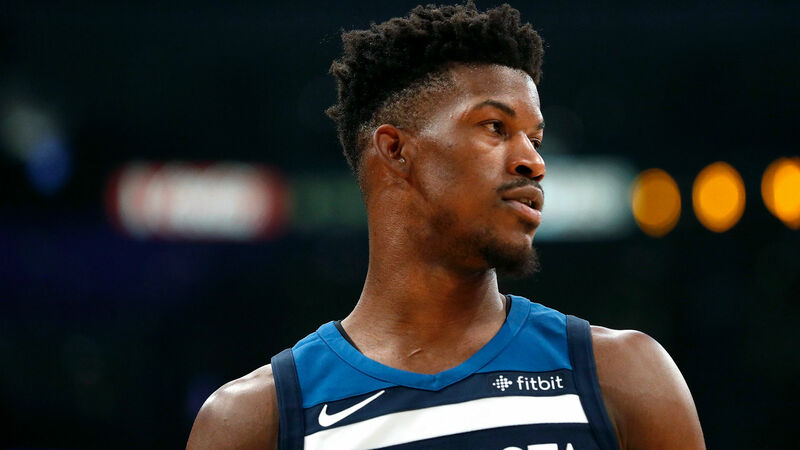 Jimmy Butler was not happy at Timberwolves’ practice Wednesday as he reportedly yelled at teammates and team brass before leaving the court. Butler scrimmaged with the Timberwolves third team and took on the team’s starters, according to a report from Yahoo Sports. He taunted his teammates by screaming “they soft” and “stormed out of the facility,” the report says. Some players believe Butler’s words were mainly directed at Karl-Anthony Towns and Andrew Wiggins, according to Yahoo’s report. Towns and some of his teammates were “distraught” and left “speechless” by Butler’s actions while others were motivated by them. Butler then addressed the tirade in an interview with ESPN’s Sportscenter. Butler told ESPN he does not believe his situation in Minnesota is working. “Everybody’s really, really positive about the whole thing,” Butler said when Nichols asked him if he believed he fit with the Timberwolves. “But I know the truth, I know the truth, I know the whole truth, we’ve talked about it. Butler reportedly asked to be traded by the Timberwolves in September. Minnesota has reportedly been close to getting a deal done with the Heat on two separate occasions, but talks have dissipated both times. Minnesota’s season begins Oct. 17 against the Spurs.